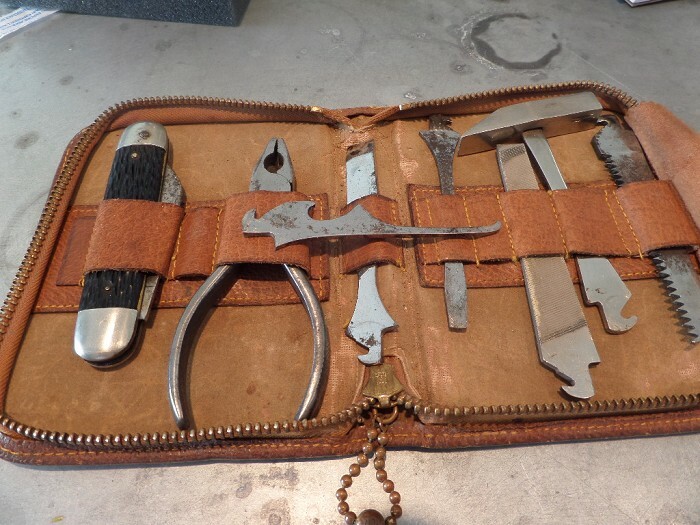 Thus far, there have only been a couple of responses to my question of “what’s your favorite?” And, I would love to read more–so feel free to respond to the blog post, or email me directly at josef@vintagecorkscrews.com . I have a feeling that many would be in John’s camp. How do you decide on THE one; that one corkscrew that you cherish over the others in your collection. Every once in a while, someone will come over and visit the house, and at some point will notice that there are a couple of corkscrews laying around. How did you get started collecting? What is the most you have ever spent? I think it would make for an interesting survey to find out from each of you (those countless readers that have been wondering why I haven’t blogged in a few days) what your favorite corkscrew is. I assume that there are probably lots that you love, enjoy, utilize, still bask in the glow of, ogle, admire, or reflect in delight over as you reminisce about the way that you acquired them. But, is there one? A favorite one? In the past, when people have asked, I have responded with the fact that I have lots of favorites. But, if you could only choose one from your own collections, what corkscrew would it be? Feel free to reply with your favorite. It could make for an interesting list. No doubt you are wondering, do I indeed have a favorite? And, I will add mine to the list alongside yours. So, what one corkscrew is THE corkscrew? Every one has a use for a Knife, Reamer, File, Saw, Chisel, Screw Driver or Cork Puller. Every one has a use for a Knife, Reamer, File, Saw, Chisel, Screw Driver or Cork Puller. This outfit is practical, yet so small, being contained in a Leather Pocket Book 4 ¼ x 3 ¼ inches, is, by carrying it in your pocket, always at hand for immediate use, whether Camping, Boating, Teaming, Driving, in the Shop, Factory, Office, Store, Warehouse, Automobile, on the Farm, Bicycle, or around the Home. 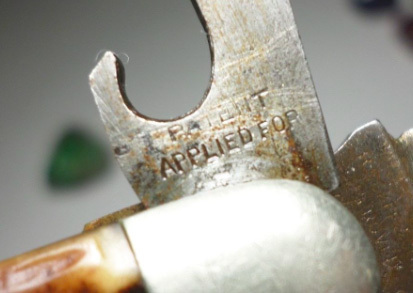 Any Tool firmly attached or detached to the Pocket Knife in a second. 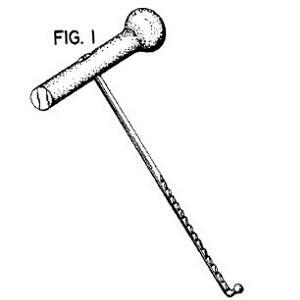 Quite the handy little kit, the cork puller tool that attaches (and detaches in a second) is William T. Vallandingham’s American patent for a cork extractor (# 883,988) awarded April 7, 1908. And, I like to have extra Bennit patents available, as I believe they are a great corkscrew to use, and I like to occasionally gift them to people who express interest in the collection. So, when a Bennit presents itself, out in the wild, or on eBay, I will often throw down a few dollars, or a fair bid, with the hopes of picking one up for a low price. And, yesterday, there was a Bennit that was coming to a close on eBay. With only a few minutes to go, I pulled up the listing, and placed a bid. Unfortunately, I wasn’t paying too much attention apparently, and when I confirmed the bid, didn’t realize that there was an extra digit in my bid. Yes, what was going to be in the twenties suddenly was in the wo hundreds! Now fortunately, I was the high bidder at 20 dollars, but if there was suddenly a flurry of bidding, I would indeed be paying a pretty hefty price. “Please don’t bid!, Please don’t bid!, Please don’t bid! With a few minutes still remaining, I hopped quickly onto the eBay bid retraction page, retracted my bid, and entered the right number. Phew! Bid retracted. Correct bid entered. Bennit won! In Fred O’Leary’s book on American patented corkscrews, he included towards the back of the book, a section on patent wannabes. 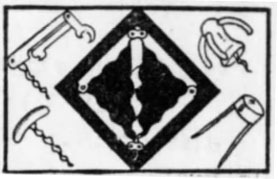 These are corkscrews where, at that point, no patent had been found, but the corkscrews had markings with either patent pending or patent applied for–or some variation thereof. One of the patent wannabes that I have never found–or seen other than in the book–is pictured on page 294. (Actually, the page isn’t numbered, but it is in Appendix A, and would be page 294 had it been numbered–but I digress). 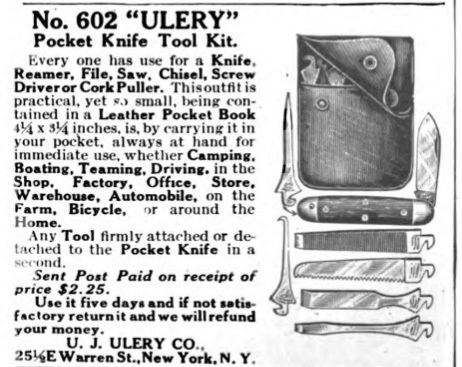 And, pictured in the upper left of of the page, is a pocket knife with a corkscrew blade. Made by Boker, in O’Leary, it explains that it is marked BOKER and PATENT APPLIED FOR. 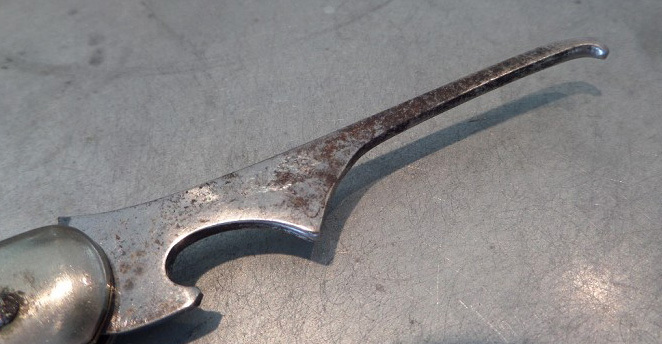 Now, there are plenty of pocket knives that have fold out corkscrews, but this one is a bit more interesting. One, as it is in the patent wannabe section of O’Leary. Two, it has a bottle opener blade that then ends in a corkscrew. 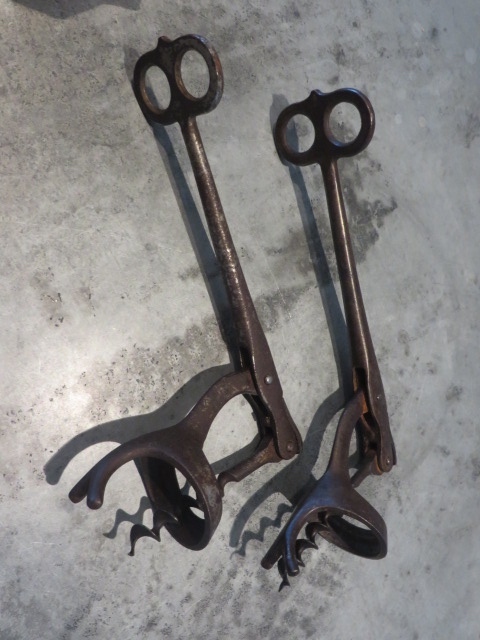 And, three, in 17 years of collecting corkscrews, I have never seen another; not in another collection–perhaps I wasn’t looking closely–nor an overpriced one out in the wild. That said, last week, in an arbitrary search on eBay, an example of the patent wannabe Boker knife was listed. With an opening bid that was a fairly decent price, I put it on my watch list. Over the course of the week, it received no bids. Now, it does have some issues. 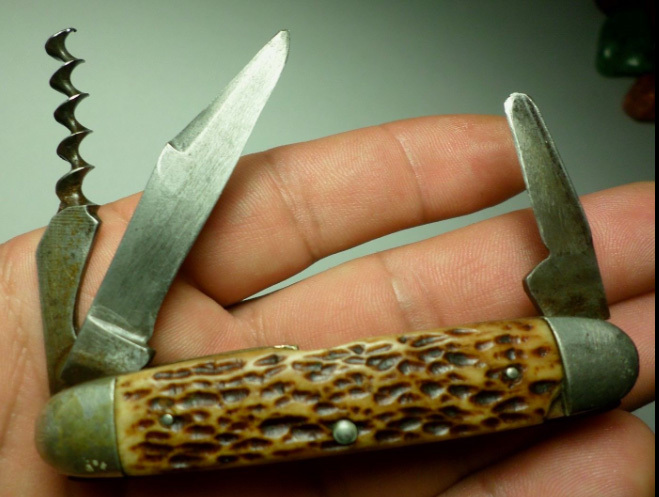 There is some material missing from the stag handle, and the knife blades are not quite as sharp as one would like, but it is indeed a hard to come by corkscrew. And, with that in mind, I watched to see where it would go, and knew that towards the end of the auction, I would throw out a bid (or several). With just over an hour to go, and knowing that I had to be somewhere when it would end, I placed a bid–being the sole bidder at that point–and headed off to my appointment. Now this particular item was not listed within the corkscrew section of eBay. 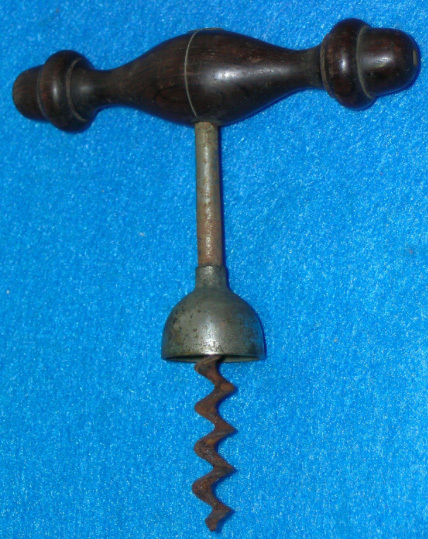 And, within the title of the listing and the description itself, corkscrew or cork screw is not mentioned. I am guessing, that lacking this is why it was not on everyone’s radar. On my way back the house, I noticed that I could still catch the end of the auction, and up my bid if necessary. And, the patent wannabe Boker is heading to the island. Best 6 material? Not to sure as of yet, but it will make an excellent addition to the collection. 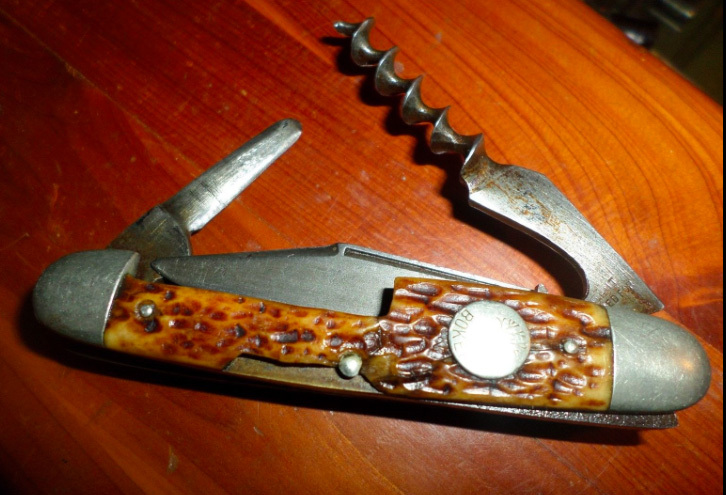 As soon as this was published, I received an email from Don Bull with an image of his Boker Patent Applied For knife with corkscrew, and it is in fabulous shape. 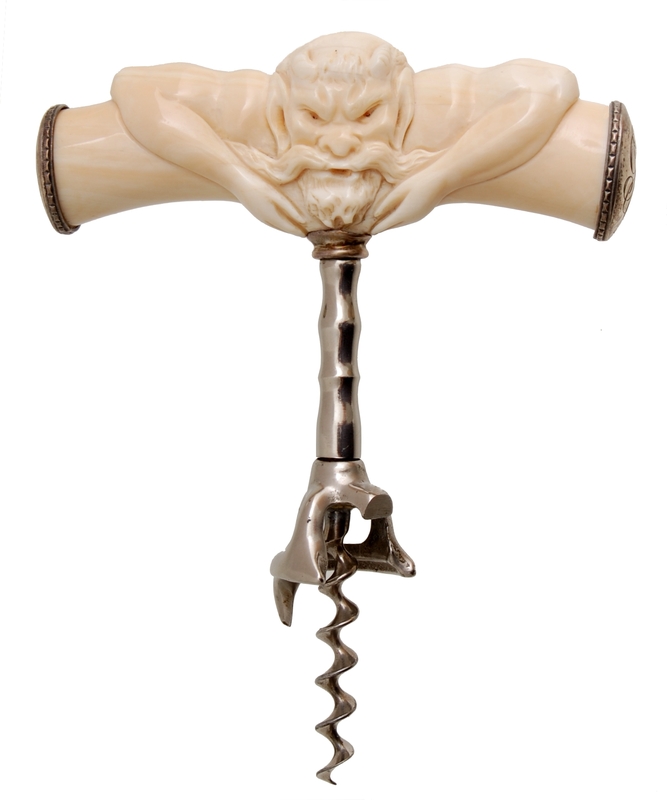 And, in doing a little research, one did sell on the collector corkscrews auction in 2014. And, that one too, was in fabulous shape. I don’t know how I missed it, as I would have definitely gone after it. Looks like this one will be a place holder until a pristine one comes along! Well, the time finally came. I got my mini the year that they were released in the states (2002), and it has been my vehicle of choice for countless road trips all over the country for the last 13 years. It was in the mini that the five dollar golden knight found itself belted in a successful trip to Indiana. It was in the mini that I basked in a triumphant corkscrew joy, after finding a Syroco Tramp for 10 dollars. Trips to the local flea markets around the Chicago are, road trips to Syracuse in the hunt for Syroco. There have been so many trips to Brimfield in the mini, and even more backroad adventures in the hunt of our much coveted corkscrews. 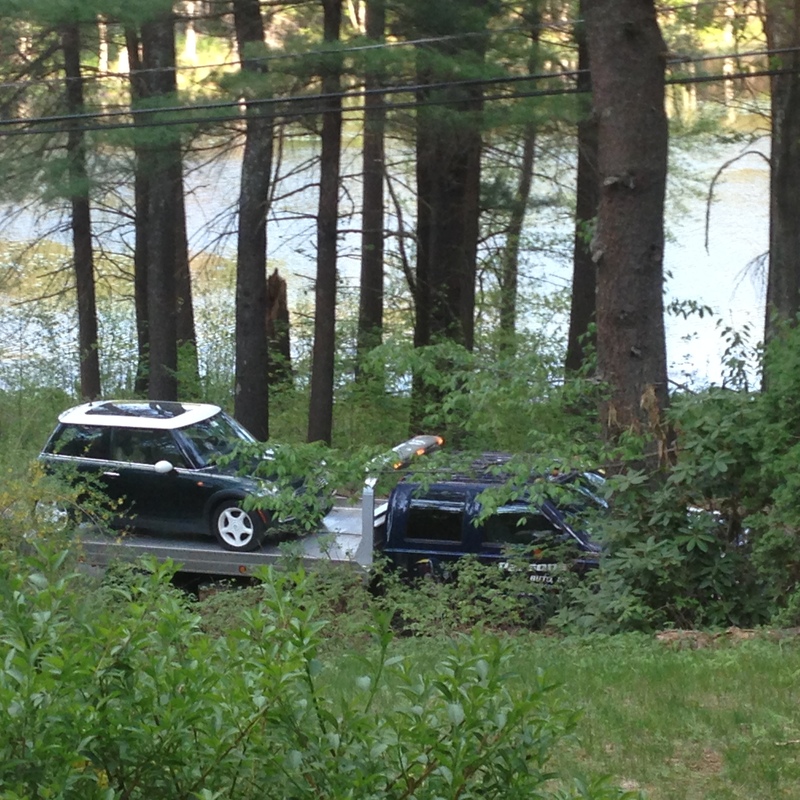 Over the last few years however, the mini has needed much work, and as mentioned during our last Brimfield adventure, it yet again had to be towed to a dealer to have another repair. And, even with that last repair, it wasn’t quite right. So, yesterday, I took the day off from the wine shop and headed to the mainland, knowing that the mini would be traded in on something else. And, given the weather conditions within which we live most of the year, a four-wheel drive vehicle would make the most sense. 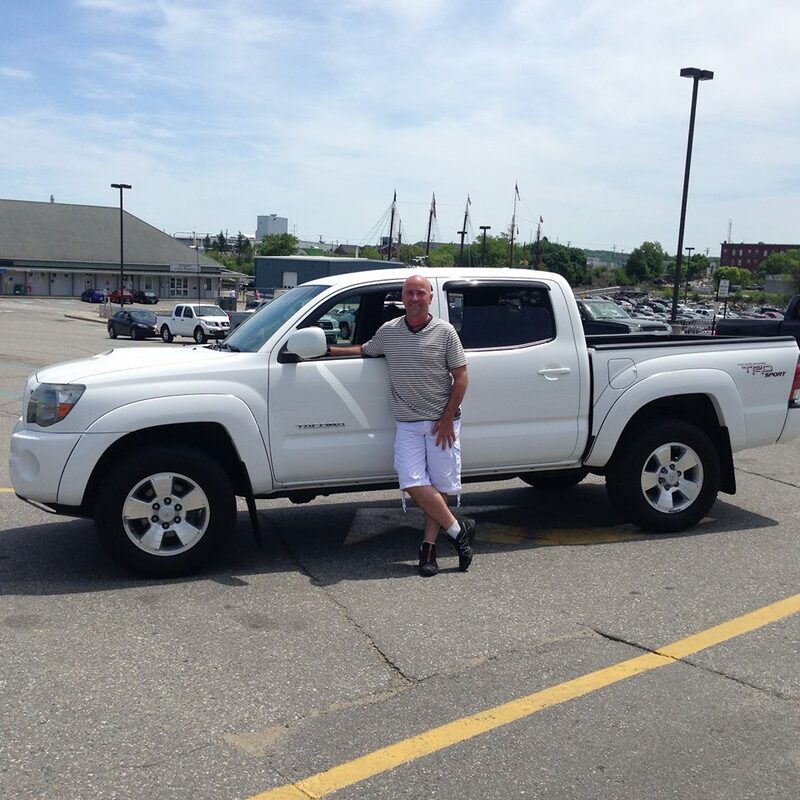 While they do make an all-wheel drive mini, a more beefy vehicle seems to the order of the day, so the mini found a new home, and I returned to the island with a new corkscrew-pursuit-vehicle; a (slightly used) truck. A bit sporty, it has a double cab, so Philos (or visiting guests) can be in the back seat, and there is ample room for corkscrews. Heck, there is an entire bed for corkscrews. Speaking of, not a whole lot of finds as of late, but that can change any moment! Pulling corks, like everything else, is no longer the simple matter it used to be and there are as many different tools for getting into a can as a burglar uses when opening a safe. Corkscrews Are Works of Art. and a can opener attachment makes the opener a useful adjunct to the picnic at home as well as the trip to Europe. 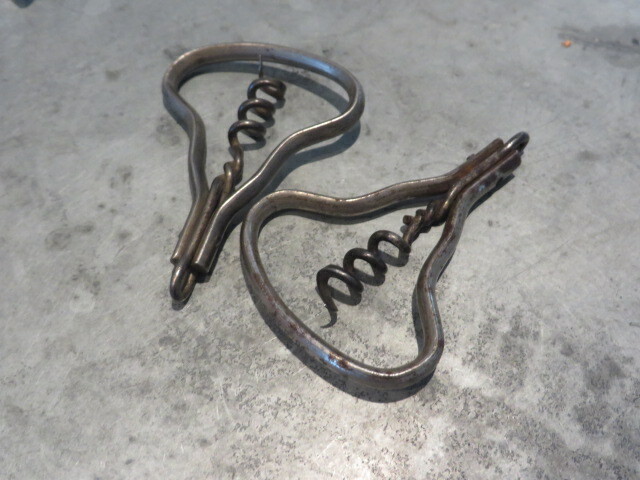 A folding corkscrew which may conveniently be carried in the pocket is ingeniously contrived into a lever for pulling out the cork. 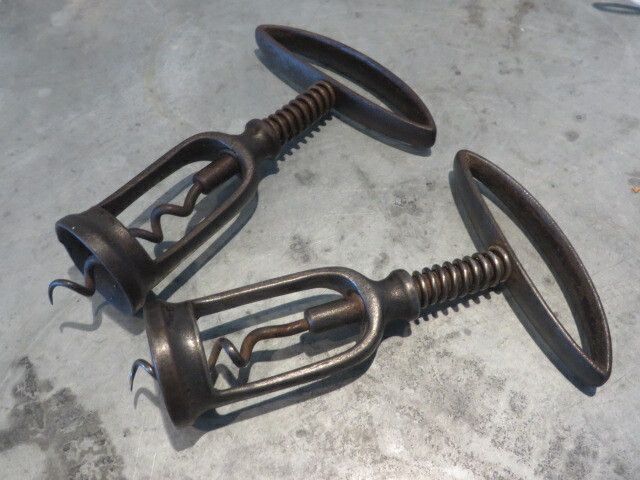 A larger corkscrew for home use also employs the leverage principle by means of a pair of claw-like handles and a circular frame which prevents the bottle from slipping. 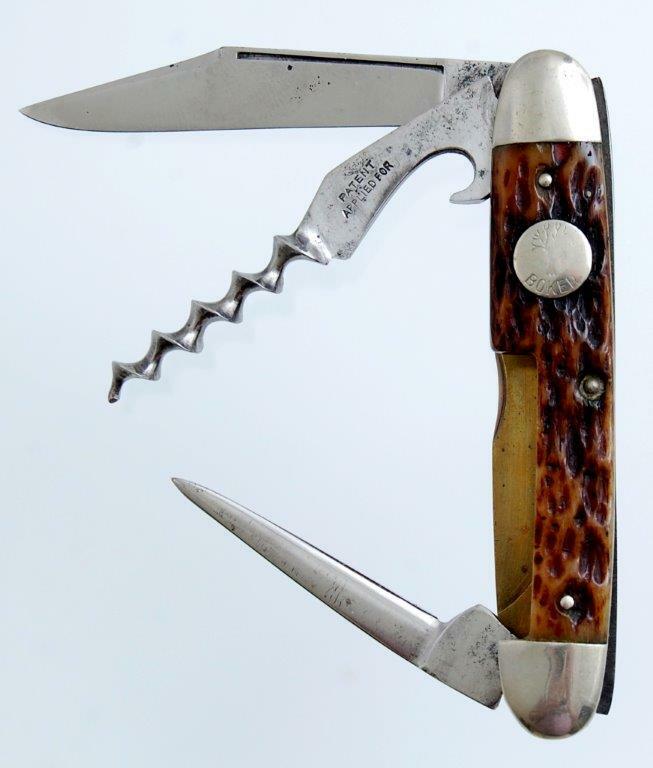 In decided contrast to the versatile French corkscrew, the German ones have heavy bone handles and do not fold or have trick features. Their handles match those of the bone knives frequently carried by men. 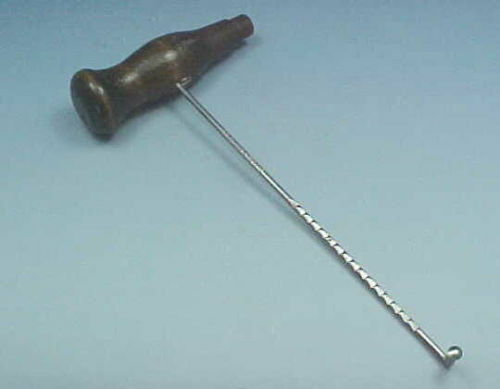 A useful little device for retrieving corks which have gone half way down the neck of the bottle consist of two prongs placed on either side of the hollow handle. The cap top pulls the cork out by suction when the prongs are inserted in either side of it. Truth be told, I prefer corkscrews that are of the older variety. 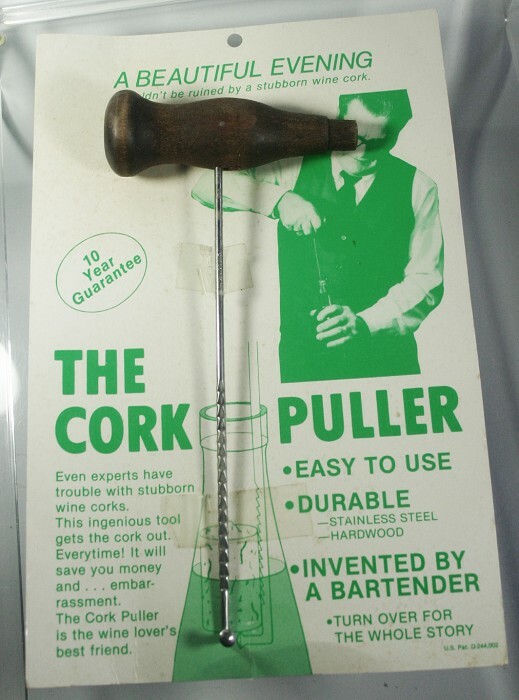 I do have a couple of Gemelli patents, a few Ross pigs, and lots of Syrocos (of course), but by in large, I prefer corkscrews that were manufactured closer to the turn of the century–that being the previous turn of the century, please don’t send any millennium bug corkscrews my way. 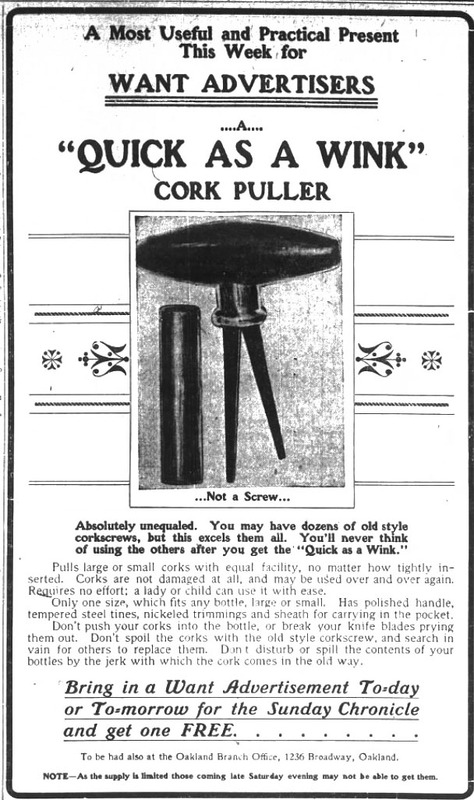 Still, there are a few more recent corkscrews that are of interest. And, one is Bernard R. Bonin’s Cork Retriever. Bonin filed for his patent on October 24, 1975, and it was finally granted on Apr 12, 1977. I have long thought I would just happen on one of these in my travels, but they really don’t turn up that often. And, it may well be that without the packaging, in online searches, what potential seller would know that this was designed to pull a cork–or a retrieve a cork, for that matter? Still, I did finally find a Bonin the other day. And, while it is not destined to make the best 6 of the year, given it is a patent (U. S. Design Patent No. 244,002), it will find its way into the U.S. Patented Corkscrew Collection.